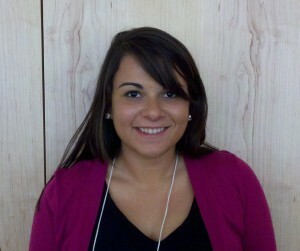 Meet Deanna Lampo, a FoodCorps Service Member based out of the CHC, Inc. in New Britain! I graduated from Millersville University of Pennsylvania with a Bachelor’s of Arts degree in Sociology, with a minor in Cultural Anthropology and concentrated the majority of my undergraduate research on Food and Culture. Being a part of team that is working so diligently to improve communities throughout Connecticut, all while having fun in the process! Exploring! Whether it’d be hiking or trips throughout New England, I love to travel! That’s a tough one! I love music and have a very diverse selection on my iPod, but a few of my favorite artists are The Black Keys, Florence + The Machine, Dr. Dog, and Mumford and Sons. I also have a great appreciation for Lady Gaga. I love to cook, and am great at working with any and all ingredients I have available, however abundant or limited they might be, and have it turn out delicious, at least in my opinion. Shawshank Redemption, I love anything starring Morgan Freeman. Either working or owning an educational farm and winery, so that I can incorporate all of my interests and passion for all things food and culture.